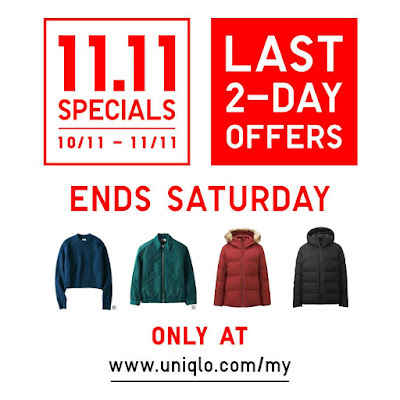 11.11 Special last 2-Day offer starts today until tomorrow! Check out Uniqlo U Collection & Seamless Down Jacket & Parka offer only at Uniqlo Online Store. Applicable for selected Women, Men & Kids items.